RHEL Server that can help your organization flexibly and seamlessly transition to your next-generation datacenter model. RHEL Desktop can provide developers and end users secure and stable work station platforms. Satellite that when coupled with Red Hat's Smart Management Add-On, Red Hat Network (RHN), provides powerful systems administration capabilities, like management, provisioning, and monitoring for large deployments. Smart Management Add-On helps you manage all your Red Hat Enterprise Linux systems, from hardware to servers and physical to virtual machines, from one centralized console. As your Red Hat environment continues to grow, so does the need to manage these environments to a high standard quality. Red Hat Satellite is an easy-to-use systems management platform that keeps Red Hat systems running efficiently, properly secured, and compliant with various standards. OpenShift Enterprise is an open, hybrid Platform-as-a-Service (PaaS) that allows customers to deliver, deploy, and run applications; build a stable, efficient platform; innovate with agility; and expand capacity on demand. OpenShift Enterprise gives developers a choice of tools, languages, and frameworks built on Red Hat Enterprise Linux and can handle peak demand without downtime resulting in a faster time to market to application services and more efficient use of resources. Red Hat’s open cloud solutions allow you to control your source code, stay independent from vendors and platforms, use more of your available IT assets, and deploy applications across different clouds. Platform as a Service: PaaS is a cloud service model that provides consumers with services for building, deploying and managing applications. PaaS can provide organizations with many key benefits. These include self-service application provisioning, standardized deployments based on pre-built application images, and simplified application management. Infrastructure as a Service: IaaS is the form of cloud computer that gives administrators the greatest control over the underlying infrastructure. IaaS is about delivering self-service infrastructure – which is to say resources like compute, storage, and networking – to users in a managed, governed, and secure way. Red Hat has bundled Red Hat Enterprise Virtualization with the industry’s only open hybrid cloud management platform: Red Hat CloudForms. Combining the two allows you to move to virtualization and the cloud simultaneously. Speed project-completion timelines, reduce project hours, and lower your total cost of ownership with Red Hat’s open source solutions. Your Red Hat Cloud with Virtualization Bundle includes all the software you need to build and manage your cloud. Manage virtual, private, and hybrid cloud infrastructures with Red Hat CloudForms which allows you to gain control of your virtualization environment, and build and manage a private or hybrid cloud. Red Hat CloudForms can do both with a comprehensive management platform. As your needs change, CloudForms evolves, protecting your investments and providing a continuum of capabilities as you progress toward Infrastructure-as-a-Service (IaaS) models. Agencies are increasingly turning to Infrastructure-as-a-Service (IaaS) private clouds for their ability to swiftly deploy and scale IT infrastructure. With Red Hat Enterprise Linux OpenStack Platform, you get all the benefits you expect from Red Hat Enterprise Linux, plus the fastest growing cloud infrastructure platform from OpenStack – co-engineered to work seamlessly together. Red Hat Storage allows you to deploy scalable, flexible enterprise storage without being locked into high-cost proprietary solutions. Manage the explosion of big, semi-structured, and unstructured data growth while maintaining the storage performance, capacity, and availability you need to meet your most demanding storage requirements with Red Hat Storage. Red Hat Enterprise Virtualization (RHEV) is a complete virtualization management solution that offers live migration, high availability, load balancing, power saving, and more. RHEV integrates both Linux and Microsoft Windows workloads in a stable open source environment. With RHEV, you get cross-platform support and a great user experience with the freedom of an open source foundation. Accreditation with Red Hat training ensures that your skills have been proven and tested in an environment. Hands-on labs and certified instructors provide real-time and mission-critical situation. Comprised of Red Hat product experts, Red Hat Consulting offers a big-picture analysis of your agency's challenges and identifies affordable, comprehensive solutions that enable you to fully utilize the value of your IT investment. As Red Hat’s preferred academic partner, DLT Solutions offers Red Hat Aacademic Subscriptions for campuses. Red Hat has two programs dedicated to supporting higher learning institutions and the academic community. Red Hat provides a low-cost Academic Edition for associates and an Academic Discount program on production installations. Determining when to use these products can sometimes be difficult. 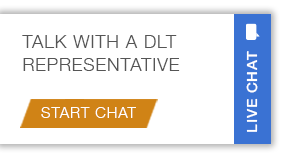 DLT Solutions simplifies this process. For more information, call 1-877-742-8358 or email enterprise-platforms@dlt.com.